1.1 What Makes Each Labradoodle Unique? 1.19.1 What is an F1B Labradoodle? 1.19.2 What is an F1 Labradoodle? 1.19.3 What is an Australian Labradoodle? 1.19.4 Have more questions? Find the answer in our detailed list of Labradoodle FAQs. Labradoodles are one of the world’s most interesting breeds of dog – except they’re not really a breed at all! They’re actually what’s called a “crossbreed.” This means a Labradoodle is actually one part Labrador Retriever and one part Poodle – either Standard, Miniature or Toy sized. Labradoodles aren’t simply a combination of characteristics from those two breeds. Instead, “Doodles” are unique dogs with traits, personalities and a devoted following of fans! Are you thinking about bringing a Labradoodle into your home, or have you recently introduced one? 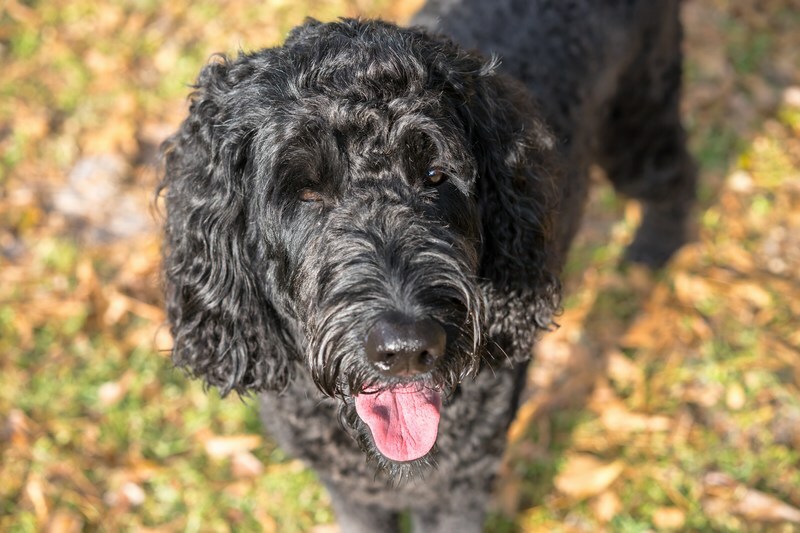 We’ve created a complete resource with detailed information on every aspect of the Labradoodle, covering important topics such as their temperamen, health, care, and more. Get started below with our detailed breed overview and visit any one of the number of our up-to-date articles to determine if a Labradoodle is right for you. What Makes Each Labradoodle Unique? Remember, Labradoodles aren’t a breed. They’re a hybrid breed. Dogs which are crossbred in this way can have unpredictable traits. This is because crossbreeding is less of an exact science than many people think it is. Some Labradoodles look and act a lot like Poodles. They’re intelligent, quiet, and loyal. Other Labradoodles really resemble Labrador Retrievers. They’re athletic, playful, energetic, and even a little rowdy. Many Labradoodles, however, are completely one-of-a-kind. They’re a unique collection of a variety of traits found in both parent breeds. First generation – These Labradoodles are bred from a Poodle and a Labrador. This method maximizes genetic diversity. Ideally, potential inherited health problems can be minimized or avoided. Multigen – These are Labradoodles whose parents are both Labradoodles. These successive generations are attempts by breeders to establish the Labradoodle as a new dog breed. Dogs created this way are usually called Multigen or Australian Labradoodles. Australian Labradoodles may also have additional breeds in their line such as Spaniels or Terriers. There is no one type of method which is inherently better than the other. It will take many generations of breeding and testing for the Labradoodle to develop its own set of refined qualities and traits. The breeder appears secretive or won’t let you see the facilities. The breeder has no information on the dog’s parents (or even if the breeding was first or multi-generation). The facility is dirty or in a non-traditional structure, such as a private home without a dedicated space purposed only for the development of the dogs. The breeder offers no after-purchase guarantee or desire to maintain open communication. When you buy from a reputable breeder, you’re starting a relationship which will last for years, if not for the dog’s entire life. Be wary of any breeder who seems eager to get your money and get you out the door. Instead, you want a breeder who is informed, compassionate and readily available. Start your research today with our detailed list of reputable breeders. Keep in mind that one of the best ways to complete thorough due diligience is by having a conversation with the breeder and paying them a visit. 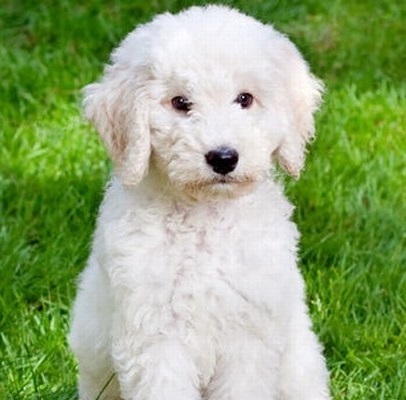 The most important thing to remember when looking for Labradoodle puppies for sale is to buy from a reputable breeder. We’ve covered how to find a trustyworthy Labradoodle breeder in-depth in the section above. 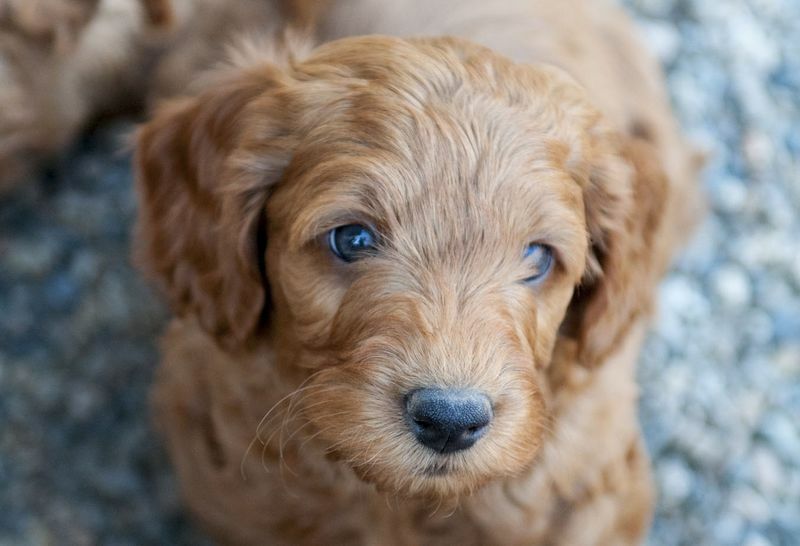 Before bringing home a puppy, there are 6 critical things you need to know about Labradoodles. Now, Labradoodles can cost anywhere from $500 to $2,500. This is a big range. When it comes to price, cheaper puppies (under $1,000) are typically the result of inexperienced/backyard breeders, so please beware and do your homework. It is highly recommended that you buy from an experienced breeder. Before you jump too far ahead – the price of the puppy isn’t the only cost associated with dog ownership. There’s a number of important Labradoodle ownership costs that you need to be aware of, including foods, toys, grooming, healthcare, supplies, and more. Don’t get caught short. Put together a budget (overestimate it) so that you know you can handle the costs over the long term. If you’re aware of the costs and ready to bring an adorable puppy home, view currently available Labradoodle puppies for sale now. Labradoodles and Goldendoodles are both similar in size and shape and can be hard to tell apart. They share their signature wavy hair texture which makes them soft and fluffy. Both breeds are regarded as good pets for owners with allergies, because Poodle crossbreeds typically don’t trigger an allergic response as often as other breeds. They are also fairly energetic, playful dogs. However, there are differences between the breeds that are important to think about when choosing the right dog for your home. Below is a comparison summary, but you can read more for a detailed Labradoodle vs Goldendoodle comparison. Labradoodles are typically the biggest of the three. Labradoodles usually grow to 22-24″ tall at the shoulder and weigh in 50-65 pounds as an adult. On average, Goldendoodles are usually shorter than the Labradoodle. In terms of weight, males and females are usually in a similar range. Labradoodles generally have coats that have longer, wavy hair and can be either silky or wiry. You will also see Labradoodles in many different colors, such as black, blue, brindle, red, golden, white, silver, and more. Their coat sheds less than most other dogs, which is where the “hypoallergenic” claims come from – learn more about their coats here. Goldendoodles have a coat that resembles the Labradoodle, but is typically a little bit shorter, is more on the silky side, and is more water repellent. They send to shed more than the Labradoodle and Poodle though. Hip and elbow dysplasia is a prevalent health issue in Labradoodles. This comes from the Poodle genetics. Hypothyroidism and bloat are also issues of concern. Similar to the Labradoodle, hip and and elbow dysplasia is an issue that comes up in Goldendoodles. It’s important to monitor their joints and movements from a young age. Blood clotting disorders may also be a possibility, along with food or environmental allergies. Labradoodles can be described as smart, friendly, somewhat shy, active, and playful. They may be scared of people initially, until they are comfortable. They don’t bark very much and they do well around young kids. Goldendoodles are clever, smart, energetic and very approachable. They typically aren’t afraid of strangers, and will openly greet new people. They are somewhat more vocal than Labradoodles, but still bark less than most other dogs. Standard – Males are between 22 and 24 inches in height. Females are between 21 and 23 inches. Both weigh between 50 and 65 pounds. Mini – Males are between 18 and 20 inches tall while females are between 17 and 19 inches. These dogs weigh between 30 and 45 pounds. Toy – Both sexes are between 14 and 16 inches high. Both also weight between 15 and 24 pounds. Labradoodles are lots of fun. Like a Labrador Retriever, Labradoodles are energetic and love to play. Like a Poodle, they’re also smart and athletic. No matter what combination of first-generation traits your Labradoodle has, there’s one thing you can count on: Your dog will need lots of regular exercise. Labradoodles are generally healthy dogs, but there are never any guarantees of perfect health. This is why it is especially important to work with a reputable, professional breeder. They are well aware of the best practices for breeding healthy dogs, and they also invest significant effort and money towards testing their dogs for breeding. There are some common health concerns to be aware of in Labradoodles, such as hip and elbow dysplasia. The Labradoodle crossbreed is still in the very early stages of development. This makes it difficult to understand what health issues may become prevalent in the breed over the next 50 years. Don’t let health issues scare you. Every breed will have it’s own challenges. There are still many great reasons to own a Labradoodle as a pet. You, your breeder and your vet should work out the exact type of diet which is best for your dog. Aside from a food brand recommendation, you’ll also need to know how many calories your dog should eat each day. You should also know which foods not to feed your Labradoodle. For puppies, divide the number of calories in the puppy food by the required number of daily calories. Then split this across three meals. After three days, if your puppy eats all of his food, add five percent more to each meal. Repeat this process, if necessary, every three days. Your puppy might never leave food in his dish. That’s okay as long as you and your vet are monitoring his weight gain. After about a year, your puppy will begin to enter adulthood. His appetite will likely slow somewhat. You should now switch to twice daily feedings. Feed one-third of the total daily calories in the first meal of the day, and feed the remaining two-thirds in the evening. This will be your dog’s feeding schedule from now on. One of the most obvious differences between Labradoodles is their hair. Their hair comes in a variety of colors and has three wave types: straight, wavy and curvy. Some of the more common Labradoodle colors are black, brown, caramel, chocolate, crème, red, and silver. Hair – This is a longer coat often seen in first generation dogs. Hair coats will shed. Not that Labradoodles are hypoallergenic, but a Hair coat is going to produce the most hair and dander compared to the others. Fleece – This silky texture is the softest coat. There’s minimal dog smell. The differences between coats can be vast, even within the same litter. Because not all Labradoodles have the same type of hair, not all Labradoodles can be groomed in the same way. Many Labradoodles, especially those with more Poodle-like coats, are prone to mats. Many people think mats are simply clotted hair, but they’re actually much worse. Mats are dead, loose hair which can become entangled with the animal’s coat. If you don’t remove mats they can harden like a stone. Don’t try to wash mats away with a bath. Shampoo and water will only make mats bigger and harder. The best way to remove mats is with a dry brushing. Place your dog on one side. You’ll start at the tail end. Push the coat upwards. This should be away from the direction the hair naturally grows in. Mats form at the skin, so that’s where you need to brush. Place the comb against the skin and brush outward. Be careful not to pull too roughly, but use enough “elbow grease” to remove the mat. If the mat is especially stubborn, you might use an open pair of scissors to gently separate the mat. As a last resort, you might have to gently cut the mat out. You’ll want to brush your dog at home every day or every other day. Regular brushing prevents mats. A mat you prevent is one you don’t have to remove later. Start brushing your dog at a young age. This way they’ll grow up to be comfortable with grooming for the rest of their lives. Here’s a quick tip for puppy coats: Starting around 10 months old, your puppy will shed his “puppy coat” and grow an adult coat. Growing this adult coat will take anywhere from six months to a year. The more you can remove mats, the easier the adult coat will grow in. Another option is to keep your dog’s hair short during this transition period. Your Labradoodle will need to visit a professional groomer approximately every two to three months. Finding the right groomer can be tricky. Quite a few groomers have never even seen a Labradoodle! In order to find an experienced groomer, you can ask your dog’s breeder or veterinarian for recommendations. Of course, there’s no one way to groom your Labradoodle. You and your groomer will have to determine which style works best. This is why it’s so important to find a Labradoodle-friendly groomer. The groomer will also need to trim your dog’s nails. This is something you can learn to do at home. But Labradoodles – even well-trained ones – can be hard to handle. A professional will know how to safely and effectively trim the nails of a large dog. Finally, the groomer may need to give your Labradoodle a bath. Some Labradoodles have a very minimal “dog smell.” This light smell is a trait found in many poodles, making its presence in Labradoodles a testament to the abilities of Conron. You might not necessarily want your dog to have a bath at every trip to the groomers. With their tendency to mat, unnecessary baths might actually do more harm than good. Regular grooming will keep your dog happy. A thick coat can be uncomfortable, especially in warm weather. Long hair can obscure vision and affect hearing. Uncut nails can break, cause pain, and impair mobility. Not all types of dogs require regular grooming, but Labradoodles are definitely ones who do. Without training, Labradoodles, like any dog, can become very unwieldy. They’ll jump on people, bark and otherwise be a 50 pound whirling ball of fur. Fortunately, Labradoodles are usually pretty smart, which makes training relatively easy. You’ll want to train both at home and with a professional in a class. Class work helps your dog socialize with both other dogs and people. Plus, you’ll learn techniques which will help you continue your training at home. Remember, these dogs are often successful service and assistance dogs. Their general receptiveness to training is one of their best features. With patience and know-how, you can usually train your Labradoodle to perform very complex tasks. There’s an easy way to know if your dog isn’t getting enough exercise – he’ll tell you! He’ll let you know by chewing on your shoes, chewing on your furniture, barking, jumping up and otherwise misbehaving constantly. To avoid this type of behaviour, regular exercise is a necessity with Labradoodles. Your dog will need at least 20 minutes of reasonably intense activity twice a day. This can be a pretty big commitment. Your dog will need exercise even if you’re tired, the weather’s bad or it’s otherwise inconvenient for you. Luckily, exercising can be fun for your and your dog! Ideally, you should have a fenced yard. This gives your Labradoodle a safe place to run and play. Plus, a yard is certainly very convenient. If you don’t have a yard, there are still plenty of ways you can exercise with your furry friend. As long as you’re willing to commit to at least some of these activities on a daily basis, your doodle will be happy and healthy. Depending on where you live, you can take your dog along on all sorts of adventures. If you live near the great outdoors, your doodle will enjoy hikes in the wilderness. Even if you’re far from civilization, you don’t want to let your dog get too far out of your sight. He could surprise wild animals or become lost. Many people keep their dogs leashed even when in remote areas. This is usually the most responsible way to hike with a dog. If time or geography prevents you from hiking, a simple walk around your neighborhood will work just as well. You want your Labradoodle to work up a slight pant. This is a sign he’s exerting himself enough. Obviously, you don’t want to push your dog too hard, but a low level of exertion is healthy. For both walks and hikes, you want to bring along the proper supplies. Don’t forget fresh water, a water bowl and some food. If you’re going out for a longer period of time, you might want to also bring along a dog jacket. Labradoodles are usually pretty smart. This makes playtime fun. Fetch is always a favorite, of course. But an intelligent dog can also play more complex games. For instance, you could try a dog obstacles course. Obstacle courses let your dog run, jump, balance and more across a series of contraptions. Even better, obstacles engage your dog’s mind while also engaging his body. You can build a small course yourself or look for places online. Many Labradoodles love to swim. This is likely a trait from the Labrador Retriever. If you have a spot where your dog can swim, he’ll likely enjoy it quite a bit. Just make sure the body of water is still and free from hazards. You also want to avoid any bodies of water which are iced over, even if the ice is thick. If an accident occurs and your dog falls into cold water, call for assistance immediateley before trying to help. Many people make the mistake of trying to reach their dog only to fall in themselves and end up helpless. Dogs have been devoted human companions for at least 15,000 years. Today, dogs are considered great companions for people of all ages and can provide us with a number of health benefits. But Labradoodles have been around for only a few decades. They’re actually one of the newest types of dogs to exist! The term Labradoodle was first coined in 1955. However, it was about 30 years later before the Labradoodle story really began. In 1988, Australian dog breeder Wally Conron became the first person to successfully and purposefully cross the two parent breeds. He did this at the Royal Guide Dogs Associations of Australia in Victoria. In fact, today certain types of Labradoodles are also known as Australian Labradoodles. Conron’s interest in Labradoodles was both noble and complicated. He wanted to create a hypoallergenic service dog. People with physical and mental challenges often rely on service dogs for a variety of help. The problem is when that person, or someone close to them, is allergic to dogs. A dog allergy can cause undue discomfort and sometimes prohibits the use of a service dog entirely. Specifically, the Labradoodle was inspired by a Hawaiian woman named Pat Blum. She was blind and needed a Seeing Eye Dog. The only problem was her husband. He had a terrible allergy to dogs. Pat wrote to Wally Conron, because he was the head of the Royal Guide Dogs Association of Australia. In her letter, she explained her problem and begged for help. A service dog needs to be strong, smart and even-tempered. At the same time, a hypoallergenic dog should shed as little as possible. Most people who have dog allergies aren’t allergic to the dog’s hair. Instead, they’re allergic to the dander. These are loose scales which form on the skin. When an animal sheds hair, dander rides along and is released into the environment. The more shedding, the more dander. Conron thought the combination of a Poodle and a Labrador Retriever would be the key to success. Both breeds were energetic, athletic and highly intelligent. Plus, Poodles have short hair and minimal shedding, both of which are key hypoallergenic properties. Conron got to work, and his success was almost immediate. His first litter showed a lot of promise, especially with one dog named Sultan. This first generation Labradoodle was smart, strong and more than capable of becoming a great guide dog. Sultan was also hypoallergenic. Sultan became a successful guide dog for Pat Blum for the next 10 years. Her husband’s allergies weren’t bothered by the dog’s presence. By all accounts, Sultan was a great success. This success inspired other breeders to try creating their own Labradoodles. Unfortunately, not all of these other attempts have been as successful as Sultan. Today, Labradoodles are very successful guide, service and therapy dogs. They’re strong, intelligent and reliable. They’re just not always hypoallergenic. Sultan turned out to be a best-case scenario. Basically, all dogs have dander, including Labradoodles. Sensitivity to dander is different in every person. The hypoallergenic aspects of Labradoodles are too inconsistent to make them suitable for people with dog allergies. This inconsistency is an important – but not always desired – element of crossbreeding. Basically, not all Labradoodles are the same. As explained above, Labradoodles have an incredible variety in their size, traits, and even hair type. Experts are divided as to whether Labradoodles will ever become an official breed. Some Labradoodle fans enjoy the diversity of the dogs, and feel that it could be negatively affected by continued Multigen development. Also, health problems could develop in the breed across generations which will then become difficult to remove. Others feel the Multigen method will lead to official breed recognition. In turn, this will lead to a better understanding of the breed. Positive traits might be more consistently displayed. This could even lead to an increase in hypoallergenic traits. Regardless, at least for the foreseeable future, Labradoodles are going to remain predictably unpredictable. …might just be the perfect pair. If you’re willing to provide a forever home and all the right care, you can make a Labradoodle happy and healthy for life. They’re intelligent, strong and playful dogs – each one with a personality all their own. Labradoodles make great service dogs, therapy dogs and, of course, they also make great pets. These unique dogs have a fascinating history you can be a part of. A Labradoodle can be a wonderful addition to your family. Have more questions? Find the answer in our detailed list of Labradoodle FAQs.